Many of us use or saw swimming caps at professional swim competitions. You may think that they are used only for hair style protection but it’s not all true, they serve for a better purpose. 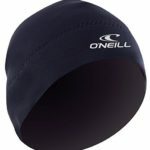 The main reason people wear neoprene caps is a huge protection from temperature swings, especially if you are swimming in cold environment, but let’s break down one by one below. Covering the hair and scalp by fitting the head smoothly. The head needs protection from chemicals in the pool, especially hair are sensitive. Chemical used in pools is chlorine and it damages hair and causes other health issues, but the most visible is that it effects the color of the hair. It becomes a real big problem for those people who spend a lot of time in pools. 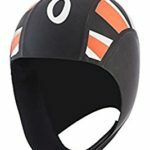 Neoprene swim caps protect head from cold if you love to swim in open water and if it’s not too hot outside. From the other hand, it will protect your head from direct sunlight if it’s very hot. It’s perfect to use in early spring or autumn. Neoprene made ones will let you enjoy swimming no matter what weather conditions are, they will save your day . 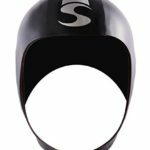 If you are swimming for a better time than you know that hair can slow you down, cap in this case helps to reduce the amount of resistance as you swim. 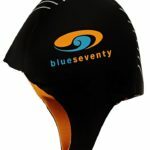 If you are a professional swimmer the cap allows you to have a longer hair and still achieve good result in the pool. There are situations then you need to identify swimmers in the water and in this case caps come to help. In competitions, there are caps with numbers and country or team logos, or even different color caps are used for this purpose. Caps help to keep the pool clean. It helps to maintain pool filters as hair who end up in the pool will finally end up in the filters and may clog them. Some operators are requesting to wear caps as a necessary thing to keep their system clean. 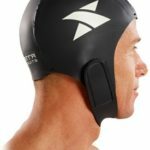 You have a long hair – we suggest to use swim cap as it will help you to perfect your technique, otherwise it’s hard to swim the right way. Use them for practicing relay starts and exchanges, turns or sprints. It will help you to get used to the feeling which you will have in competition. If you swim in open water and especially if its cold. 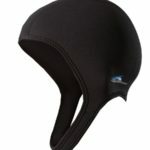 Most of you body heat is going out through your head so wearing a neoprene cap will solve the problem. There are many materials used to make caps and each of them serve it’s own purpose. It can be made from lycra to latex or silicon. 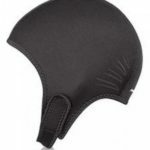 Neoprene is used to make caps that protects from cold water or weather. Many swimmers do not recommend Lycra as it slows you down by adding more drag. For practices it is recommended to use latex or silicon caps in closed pools and in open water ones made from neoprene is the best.